3 hours sitting.this is an icon to define my wings. 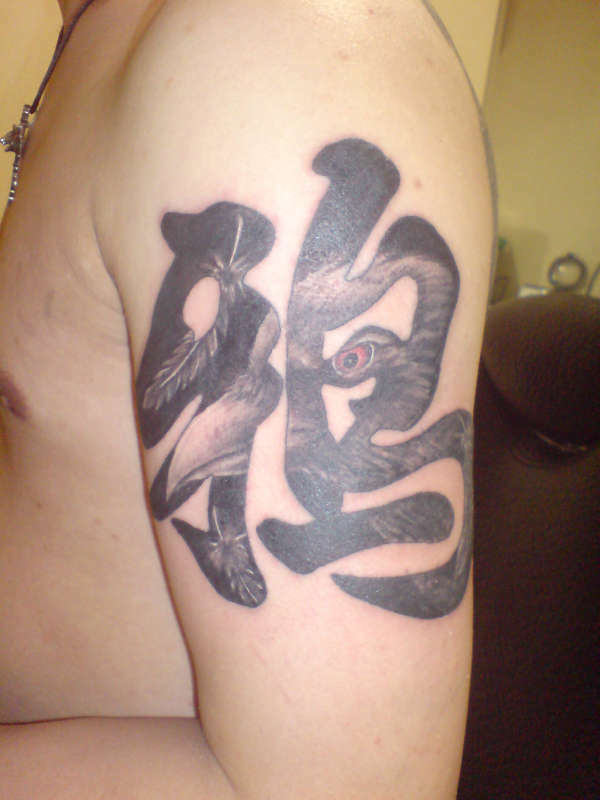 the chinese character represents crow.totally love the artist's idea. I'm not a fan of crows but this is an awesome idea and executed very well too! Not my thing at all, but quite cool. And the Chinese character is actually well done for a change.